Have you been recently injured on a job? Did you get sick because of your job? However unfortunate this may sound but if you are a dependent of someone who died on the job, this article is for you too. You must know that you’re entitled to get compensation such as medical care, disability coverage, and rehabilitation expenses to cover your loss. You are entitled to receive compensation through what is called as the worker’s compensation insurance- a policy paid by the employer. 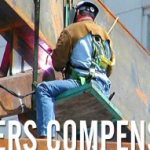 Here is the breakdown of the benefits of the workers’ compensation. Medical Care. This pertains to the compensation to cover hospital and medical bills necessary to cure or identify your illness that you acquired from the job. This refers to the doctor’s visits, surgeries, and medication. If you have been severely injured to the point that you need extra equipment such as wheelchairs or crutches, the workers’ compensation will provide coverage. The workers’ compensation will most probably also cover therapy sessions if the injury has caused traumas that are not physical. Rehabilitation Expenses. You will enjoy the benefits of rehabilitation care where medication and physical therapies belong. If you’ve lost your motor skills or any ability because of the accident, you are entitled to this benefit. Disability benefits. This covers the income you lost because of the accident that led to your injury. This covers four areas of disability: temporary total, temporary partial, permanent total, and permanent partial. Death. This coverage goes directly to the family of the deceased. It’s a financial coverage for the dependents: spouse, child, sibling, or parents. If you know you’re eligible to these benefits, but you’re ignored OR if you’re not getting enough of what you deserve, you need the expertise of an attorney. An attorney’s mere presence will shake up those who are responsible.